I just finished attending an event and I am waiting for the next one instead of waisting my time window shopping I decided to blog (ayan ah... hindi na ako bad beauty blogger dahil I have all the time the world now so I am making the most of it). Anyways, I won a SM GCs from Shen's giveaway in instagram yesterday. Nanlaki ang mata ko sa FX when I saw my name on her IG post. 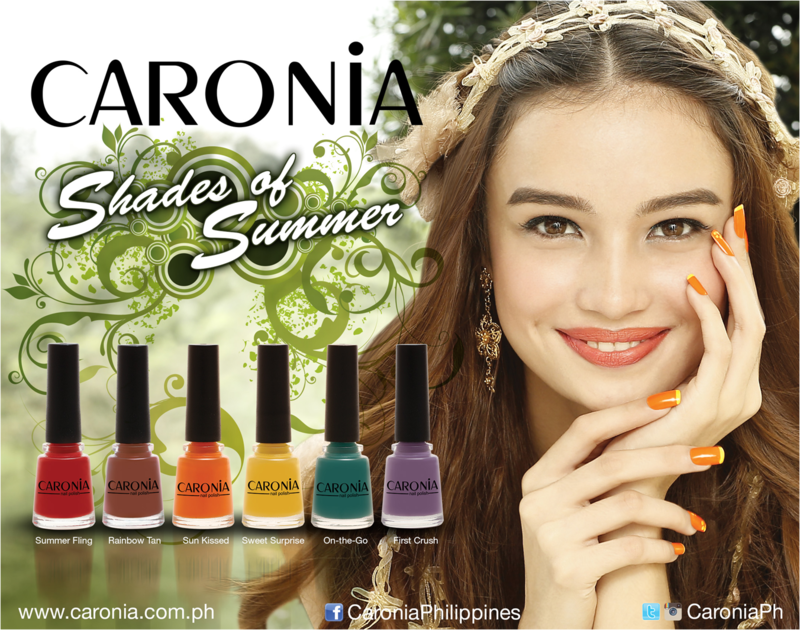 Moving on,Caronia sent me their newest collection perfect for the summer. Lately, I have been growing out my nails. Wala lang feel ko lang magjinarte with long nails. Kidding aside, I am trying to get used to long nails in preparation for my big day (ang ganda sa picture n nakafrench tip! !bet ko yun eh). I rarely grow out my nails that long because I have a bad habit of nail biting thus, they get brittle. Also, I tend to have weird dotted engravings on my nails due psoriasis. I found a new nail care products that I am using and it has been making my nails look healthier. This summer line of Caronia consists of 6 shades. Wow very nice collection :)!